Vistar's primary concern with navigation systems is the safety of passengers and crew of high-speed craft and of other voyagers. Typical hazards that must be detected include large flotsam and jetsam, ice, logs and trees, containers, whales and exceptional waves. 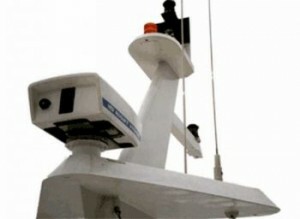 Unlit small fishing boats, leisure and commercial craft can also be invisible to radar and prove a major hazard. Detects typical threats that could damage vessel or cause passenger injuries at sufficient range to enable safe maneuvers.The Vistar 223 was developed specifically to meet the exacting figures of the Hong Kong Marine Department for operation of high-speed passenger ferries at night. Vistar systems have been approved for service in Hong Kong since 1982. The main display screen and controls enable the night vision operator to maintain a permanent lookout, while a slave display and panning controls are provided for the captain. Markers on both displays clearly indicate the potential collision path and range.